We each recommend a manga for discussion in the forum, and Mordion will pick one for all of us to read. We each read some of the manga on our own before the meeting, hopefully at least 2 or 3 volumes. Then we meet and have a discussion about the manga over coffee (or whatever beverage you choose). 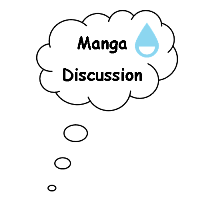 If you are interested in suggesting a manga, or participating, please visit June Manga Meeting event discussion in our forum. Prev Nakama Toys and Squared Circle present Anime Night – July 5 2014!